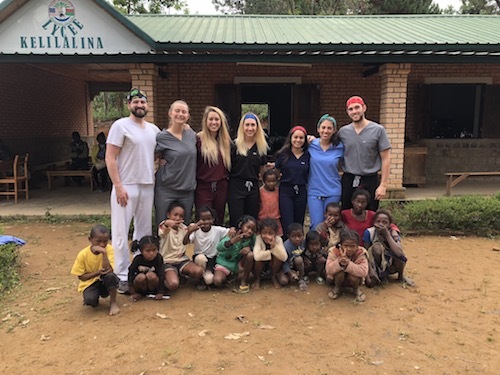 Over 700 members of remote communities in Madagascar received oral health treatment and education by instructors and students of Stony Brook School of Dental Medicine. 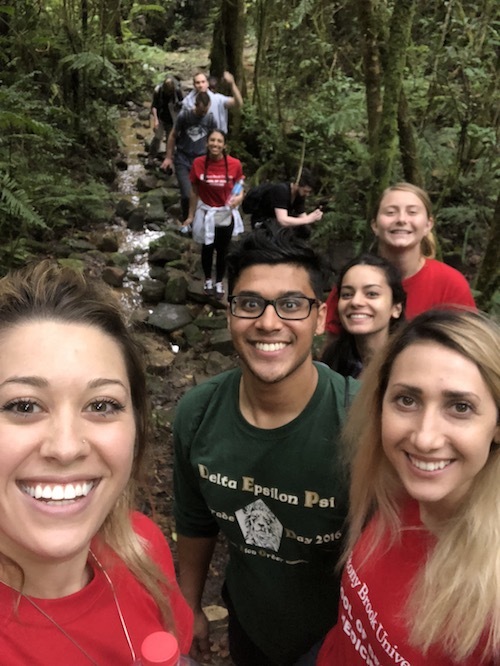 July 2018 - This summer, Stony Brook School of Dental Medicine’s team of 12 students and instructors set off on a journey that consisted of three days of travel to reach two small villages in the Republic of Madagascar. 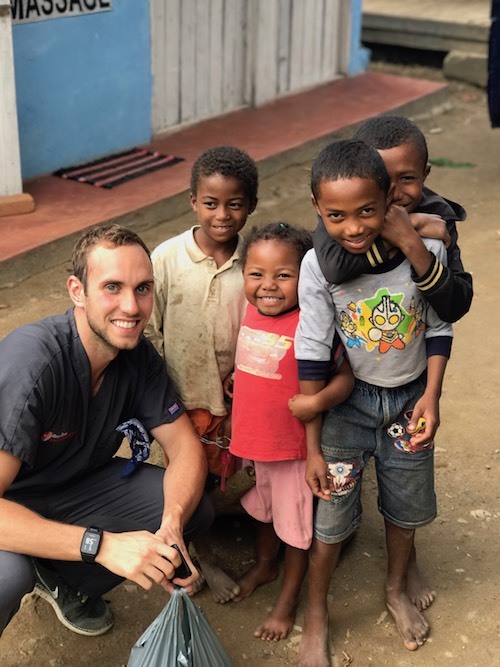 The communities are remote, located approximately 300 miles south of Antananarivo, Madagascar’s capital, leaving residents with little to no access to oral health education and care. 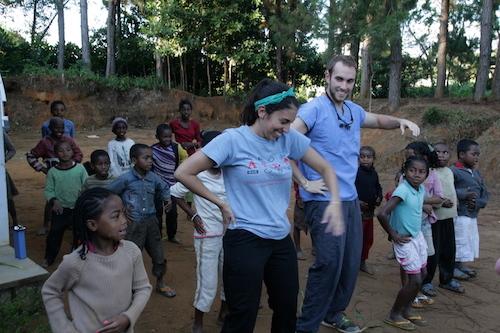 The outreach mission marked Stony Brook School of Dental Medicine’s 16th year providing oral health care to this African island country. 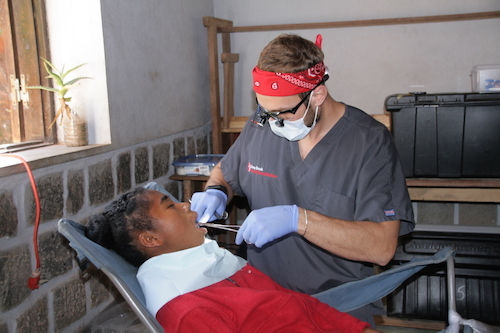 Dental outreach missions to Madagascar by members of the Stony Brook University community began in the early 2000’s by joining the exploration missions of world-renown paleoanthropologist, Dr. David Krause. 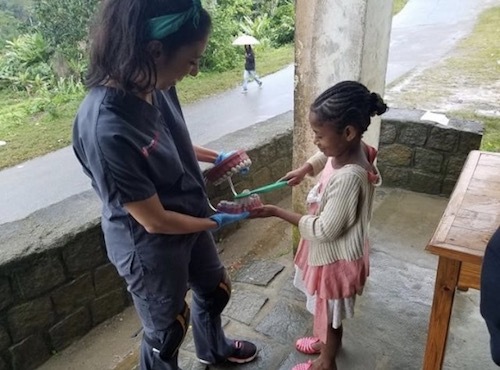 Through Stony Brook University Foundation, Dr. Krause established The Madagascar Ankizy Fund to provide education and health care to children that live in remote areas in the island. 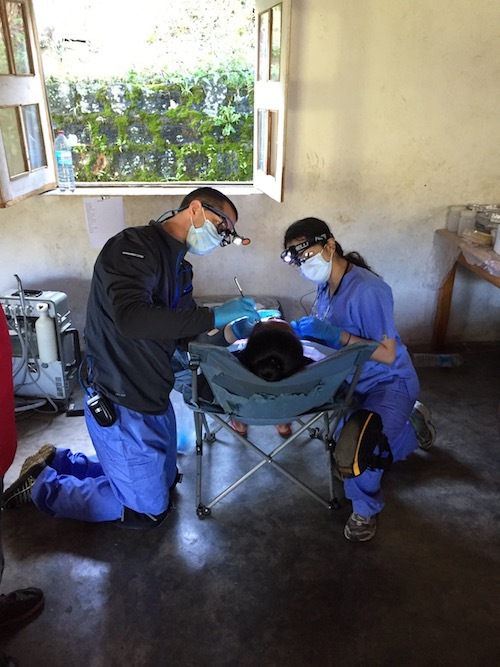 During this year’s three-week mission, Stony Brook School of Dental Medicine’s team worked ten hours per day to provide care to over 700 patients, many of whom had walked extraordinary distances with bare feet to receive care or had arrived on ox carts, willing to wait hours in the hot sun. The facilities are devoid of running water, plumbing, and electricity, requiring water to be drawn from a well, boiled and used for sterilization processes, and requiring a generator to support two portable dental units equipped with high-speed electric drills, air/water adapters, and central suction. 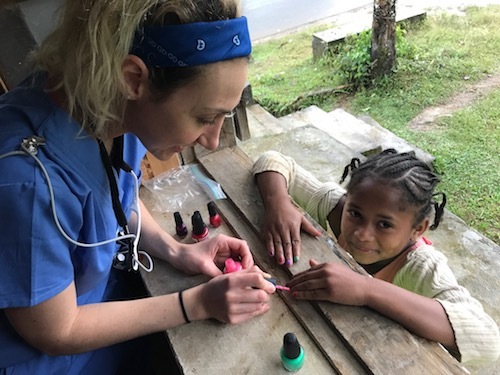 With each member of the team equipped with a headlight and magnifying loops, they were able to provide treatment, while kneeling, to patients seated in canvas beach chairs. 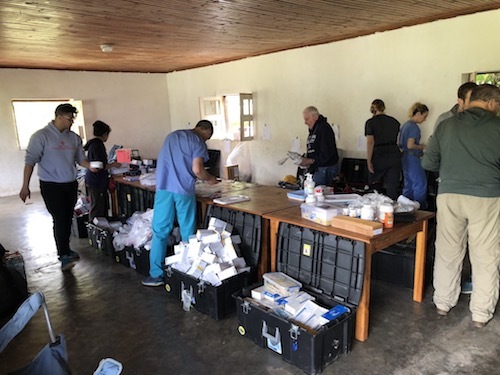 Necessary supplies and provisions were generously donated by a multitude of friends of Stony Brook School of Dental Medicine. Stony Brook School of Medicine’s team observed an abundant lack of prior dental care with the amount of tooth decay far outpacing the availability of dental care. Treatment was provided for conditions including non-restorable primary and secondary teeth, generalized advanced periodontal disease, and localized areas of significant infection. Lack of dental hygiene was observed at each location with patients describing their homecare as a process of rubbing charcoal or sand and salt with their finger against their teeth. Throughout the outreach mission, groups of children were provided with toothbrushes and toothpaste along with instruction for homecare with the intention of extending preventive services. Photos provided by Ilana Dashut, Brandon Gruffi, and Taylor Truncali.